It was in my daily search of the internet for meaningless things, many of which connect unerringly to even more meaningless things – that is to say additional meaningless things rather than things that have even less meaning (although that too is potentially an outcome) that I happened across this short tome of bush-beating horror. Having read previous Lovecraftian lore, and realizing that this should be a somewhat simple endeavor, being only slightly over sixteen thousand words, I began to read. The tale of creeptastical fantasy and lore ever so slowly unwound with the typical style. Herewith is an example of said style. The story of which you are about to read is a scary one in which horrendously putridienous things occur. You will no doubt find them difficult to believe. If I had not been witness to them myself, I would hardly believe them either, but I assure you they are completely true; although I no longer have any evidence of their veracity, and find myself on the verge of insanity from just trying to get started telling you this story in a very long and meandering sentence. But first, you must look at this bush. It may seem to be an ordinary bush, and quite possibly it is, but it might not be, so pay close attention while I beat around its edges to make sure. I assure you that by doing so, I will extend the anticipation and sense of impending doom to a level that makes the really bad scary thing seem that much more so in the end. And there you have it. Lovecraftian horror at it’s core. Oh, the story was pretty good. The narrator was an idiot who couldn’t resist the lure of the fantastical and almost ended up in a bad way. It’s not that long, so if you like Lovecraft, go read it. It’s free. This book is non-stop action adventure from start to finish. It’s a well written stand-alone sequel that grabs you and won’t let go. I’ve read lots of cool and interesting time-travel sci-fi books, but this is one of THE BEST action adventure based stories that I can remember. It honestly ranks right up there with Dinosaur Beach by Keith Laumer to me. In this sequel, the author doesn’t spend a lot of time rehashing the tech, or the ‘how we got to this point in the story’. If you want that, go read the first book in the series before you read this one. It’s great too, so it won’t be a waste of your time. You can jump straight in to this one though without much of an info lag. 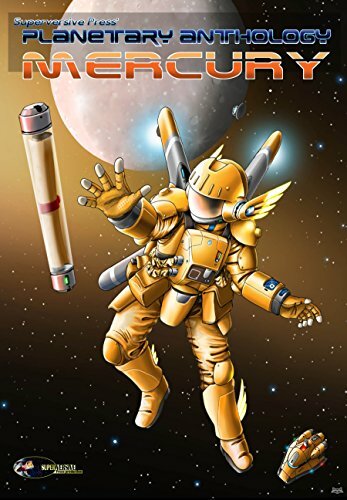 There are only about four main characters that are transferred from book one that you need to know about: the protagonist, Ben Travers; Mym Quickly, his burgeoning love interest; her father, Dr. Harold Quickly – the inventor of time travel; and their friend Abe, the former watchmaker who now makes their chronometers. These are expanded upon, but all others are new introductions. The story itself is about the still newbie time traveler, Ben, getting unwittingly caught up in the machinations of a Time Mobster that forces him to participate in the Chronothon… a time race. The action, one it gets rolling, does not stop. If you are an impatient reader, you will not even sigh once the race starts. The action is fast paced, dangerous, paradoxical, and often humorous. If action adventure, intrigue and sci-fi are your thing, then you should definitely read this book. And go back and get the first one if you haven’t read it. I’m eagerly moving on to the third in the series. I give this book five stars and call it a Fantastic Read! Wow! I really enjoyed this book! It’s a well thought out time travel concept. It has great characterization. The story is always on the move… sometimes so fast you have to pay very close attention to keep up! I loved it. So, what would you do if you were accidentally zapped backward in time? 2009 to 1986 is definitely a culture shock experience for a group of four twenty-something Saint Petersburg, Florida residents who find themselves in exactly that situation. Luckily for them, time travel is actually a fairly common thing. Not so lucky for them, it’s also dangerous as hell! Especially when you have to learn things the hard way because of a serial killer who also tagged along for the time-ride! The writing style of this novel did give me a bit of heartburn at first, being written in first person present tense. You wouldn’t think tense would matter in a time travel book, would you? It took me a while to shake that off and get into the story. Luckily, the story was engrossing enough for me to ‘get used to it’. The characters developed quickly, and I soon found myself truly concerned with their plight. I can highly recommend this book to anyone who enjoys time travel novels. It’s one of the better ones! I give it 5 stars and call it a Fantastic Read. What’s really awesome is that it’s Book 1 of 3 (so far?). If you would like to read it, as of the posting time of this blog post is is FREE on Amazon.